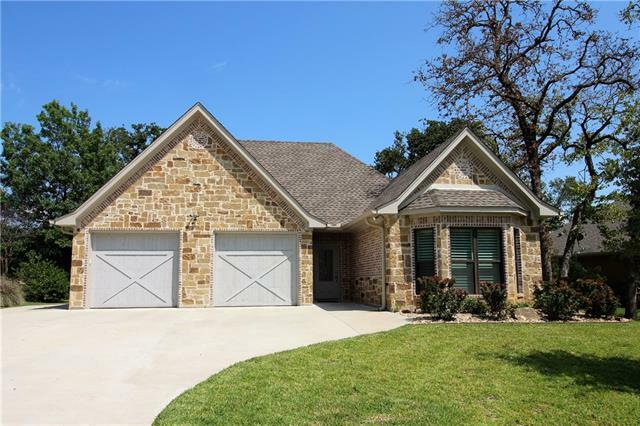 All Lake Kiowa homes currently listed for sale in Lake Kiowa as of 04/23/2019 are shown below. You can change the search criteria at any time by pressing the 'Change Search' button below. If you have any questions or you would like more information about any Lake Kiowa homes for sale or other Lake Kiowa real estate, please contact us and one of our knowledgeable Lake Kiowa REALTORS® would be pleased to assist you. "Luxurious 7100 sq ft estate in exclusive, gated Lake Kiowa on the Blackfoot peninsula. Main house has 5 bedrooms (2 masters down) & 4.5 baths. Double lot is 1.2 acres with sweeping views of lake & golf course. Gourmet kitchen has 6 burner+ gas cooktop, commercial vent hood, double oven, farm sink & granite. Dining or 2nd living has hand scraped wood floors, wet bar, 2 wine fridges, ice-maker & attached cedar sun porch. Main living area has brick FP & dining area overlooking lake. 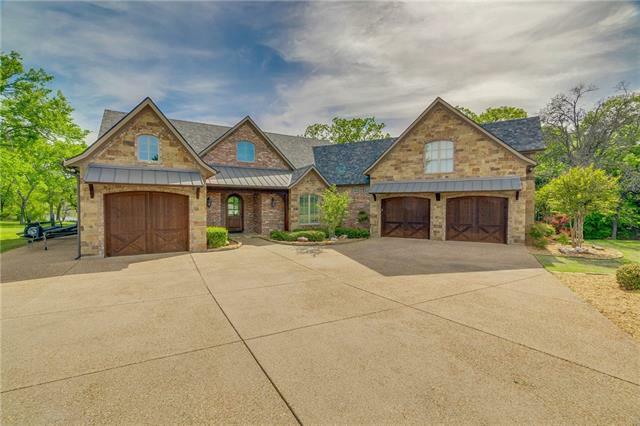 Built-in Dacor "
"Gorgeous custom built brick and stone home on excellent Lake Kiowa waterfront built in 2018. 3,602 square feet, 4-bedrooms, 3.2-bathrooms. Large open living and kitchen the heart of the home, beautiful rock fireplace with gas logs and 2 large islands, great for entertaining a separate dining area. Hand-scraped wood floors, beautiful tile. First floor master has beautiful en-suite and walk-in closet. Large mud utility room with refrigerator, washer, and dryer and folding area. 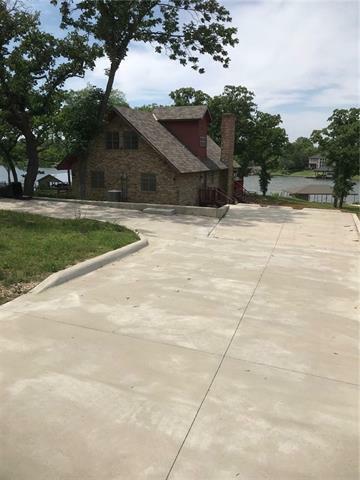 Scr"
"Lake Kiowa East Beautiful Custom Lake House! 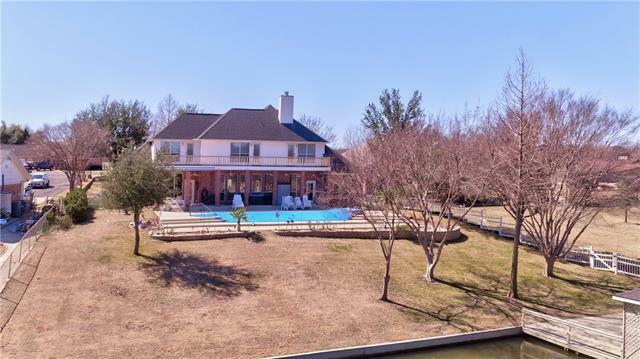 This unique home features a private dock and slip with roof top deck, private hidden lookout tower from upstairs game room, space for RV parking, 4 car garage with golf cart parking, built-ins, open office and study loft, and hot tub. 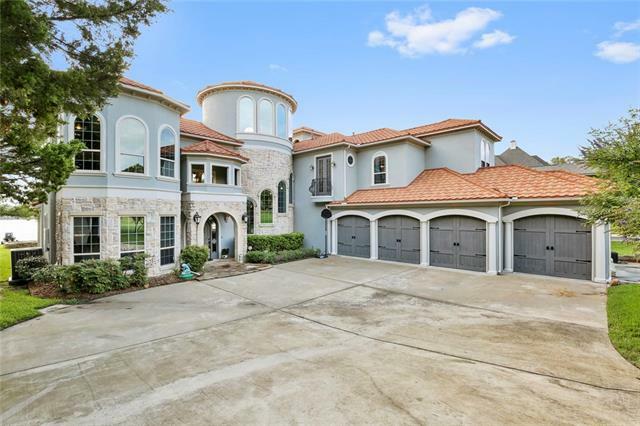 As you enter into this 5 bedroom masterpiece, you will be greeted with a grand staircase and cathedral dome ceiling, rich hardwood floors, and the beautiful water scenery throughout the many floor to ceiling windows. " "This waterfront luxury home offers expansive lake views! Hardwood flooring throughout all common areas and bedrooms. Walls of windows provide pristine lake views! The kitchen boasts a large island open to the family room. Also features a 6-burner gas cooktop and SS appliances! The master suite offers access to the patio, along with a serene bath with slate flooring, granite countertops, walk-in shower and custom closet! 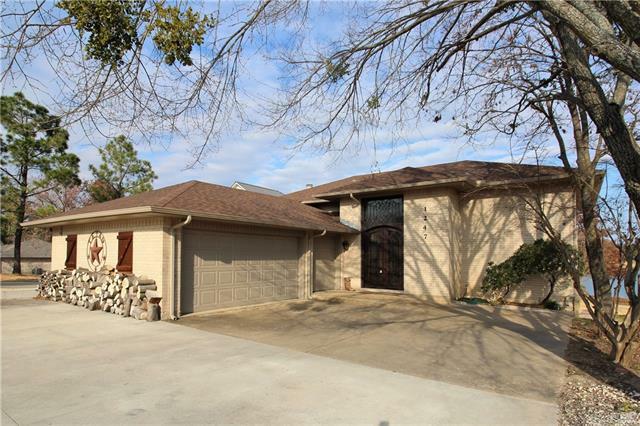 Enjoy the outdoors on the covered cedar patio with a fireplace and easy lake"
"The search is over! 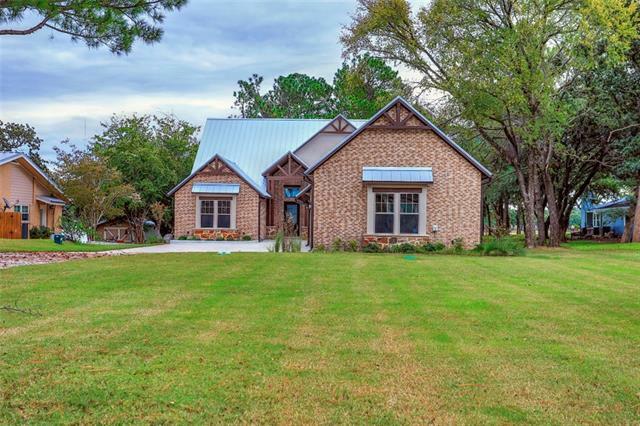 This is your Dream Home in Lake Kiowa. Located on a cul-de-sac this home is situated on .94 acre on PRIME WATERFRONT property. 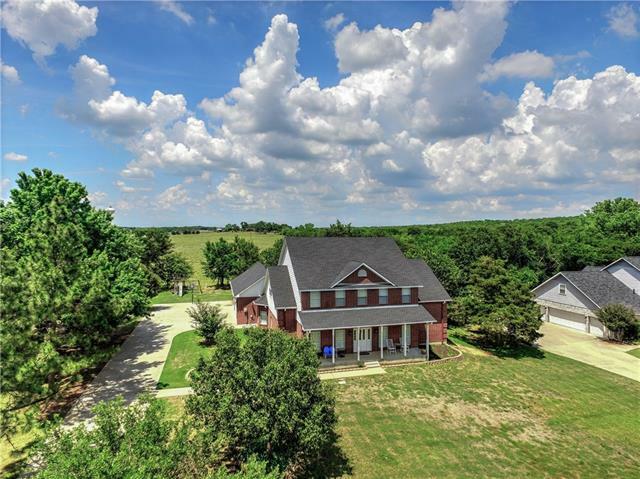 A spacious home featuring 5BR, 4.5 Baths, 3 living areas inside and 3 living areas outside that is sure to please everyone! Extensive remodeling of Kitchen and Baths was completed in 2013. 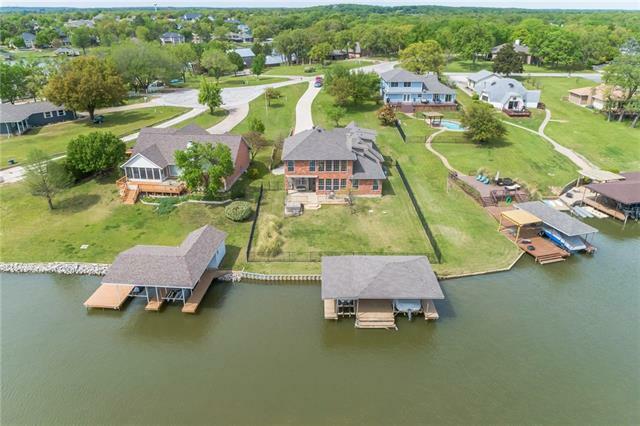 SPECIAL FEATURES include: a 1200sf putting green, 2 covered boat slips w-lifts, a separate swimming dock, a 50 year warranty metal roof, 3 car garage, separate"
"Beautiful custom brick home on Lake Kiowa waterfront. 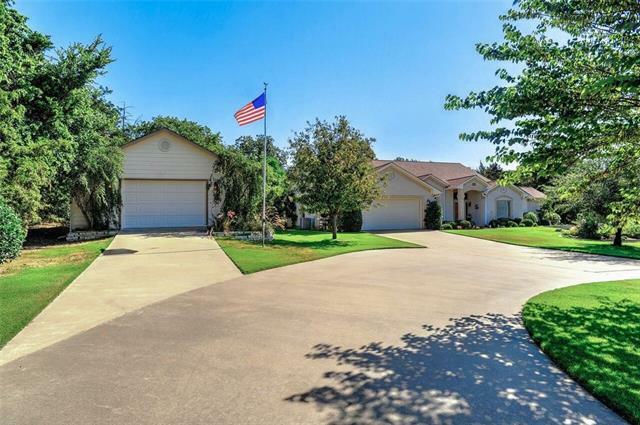 All 5 BRs in this well-appointed 3,276 square foot home face eastward toward lake. Large open LR and kitchen the heart of the home, beautiful brick gas log FP and built-in wet bar, perfect for entertaining; separate dining area. Extensive wood flooring on main floor. 1st floor master has comfy sitting room by FP overlooking pool and lake, separate bath and shower, and his and hers walk-in closets. Large utility room with refrigerator, was"
"Custom built home in great location. This home was built to last with steel frame and 8 inch walls by local builder. Fantastic location opposite the driving range on quiet Lone Wolf Cove. Conveniently located between the front gate and the lodge for easy access. Open concept with large bedrooms and fantastic closed in sun porch to enjoy the lake all year. Granite counters, trex decking and geothermal HVAC and new roof in 2017 just to name a few of the upgrades. Bring us an offer!" 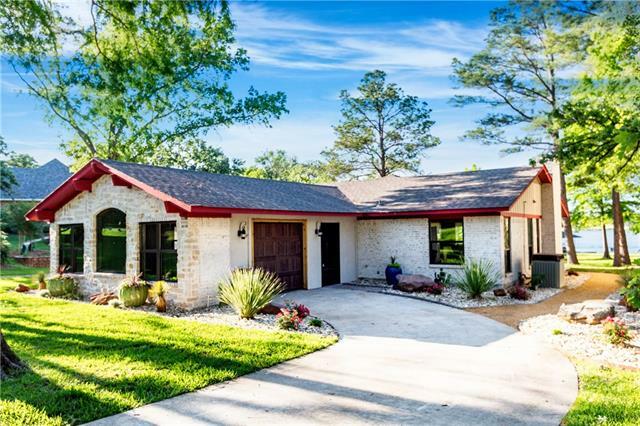 "Fabulous home just listed in Lake Kiowa. Over 5700 sq. ft. of spacious living on .83 wooded acres, provides privacy and peace while still offering all that Lake Kiowa has to offer. This custom home was designed for easy living. Pamper your family and friends with fully appointed guest suites throughout the home. Natural light throughout brings the outdoors inside and beautiful windows and glass doors provide easy access to flower gardens, outdoor kitchen and firepit. Cozy up to the stone fir"
"This custom built home is a gem in the community. 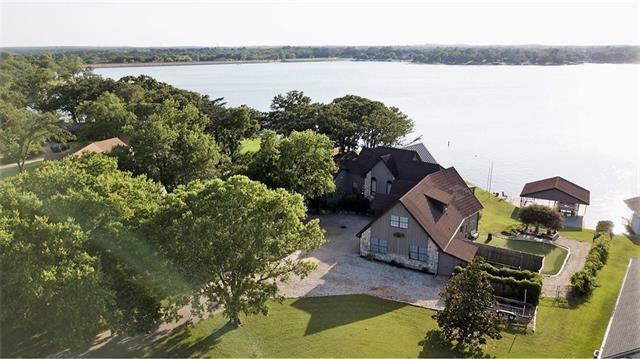 Positioned on the 16th fairway of Lake Kiowa's Championship Golf Course, this home boasts views of the main body of the lake, Lone Wolf Cove and Crazy Horse Cove. Large picture windows brilliantly capture views from open concept kitchen, dining and living room. Breathtaking views continue through the master suite, upstairs bedroom, downstairs bedroom and den. 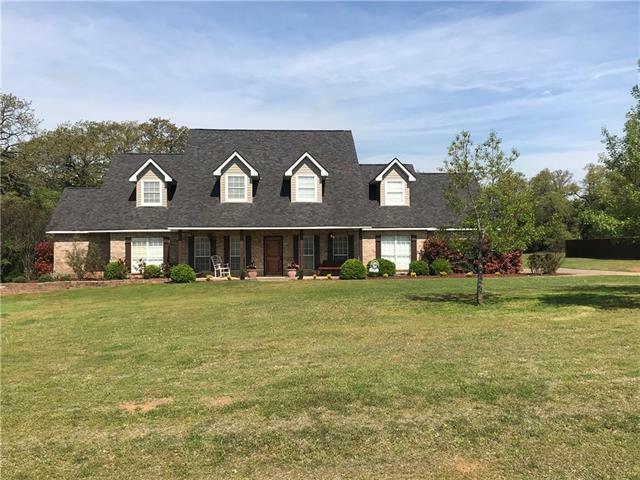 Master en suite includes his and hers vanities and walk in closets, walk in shower, gard"
"Spacious home Open living with 19-ft wall of windows with an amazing view of Lake Kiowa. Kitchen boasts granite counter tops with brick accented cooking area, breakfast bar & island plus built-in breakfast sitting area with views of the water that are hard to beat Separate formal dining. Downstairs master with views that will take your breath away overlooking lake. Upstairs offers 2 bedroom plus oversize media room or game room with its own bath and bar area. Extra large boat dock and jet ski "
"This is it! Great lake house with views of the golf course! This split level home features 4 bedrooms; 3 full bathrooms; a large open living, dining, kitchen area with great views; a huge second-level covered deck and a large covered patio on the first level; oversized fire pit; huge yard; dock with boat lift and double jet ski lift; and so much more! Current owners have updated flooring, added granite counters in kitchen and bathrooms, done extensive work outside (including new deck, patio, an"
"Beautiful Southwestern styled home on 3 large landscaped and sprinklered lots. 4 bedroom, two master suites, 3.5 baths, den or study & large 22x22 bonus game room upstairs over garage. Kitchen has tile counters, stainless appliances & gas cooktop. Stained concrete, 5 in. distressed wood & ceramic tile flooring. 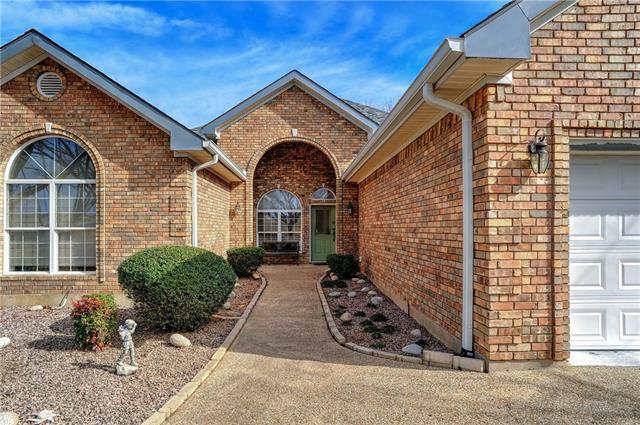 Large master has fireplace, sitting area & huge master bath. The wall of windows in living kitchen & master overlook the scenic gardens & wooded back yard. Wonderful covered patio "
"Waterfront home on common access lot with great yard and relaxing views of the lake. This home features a living and dining area with a wall of windows facing the backyard and lake, master on first floor with large bathroom and TWO walk in closets, two additional bedrooms and full bathroom on second floor plus a great loft area, two car attached garage with additional one car garage that is perfect for a golf cart, and all the amenities of this wonderful community! This is a perfect weekend geta"
"Ready to move in! Brand new AC system! Updated 3 bedroom ranch style home walking distance to lodge! Great view! New dock! Large island in kitchen for entertaining! All new appliances, granite, light fixtures, landscaping! Oversize garage area for storage or workshop table!" "This home has it all! 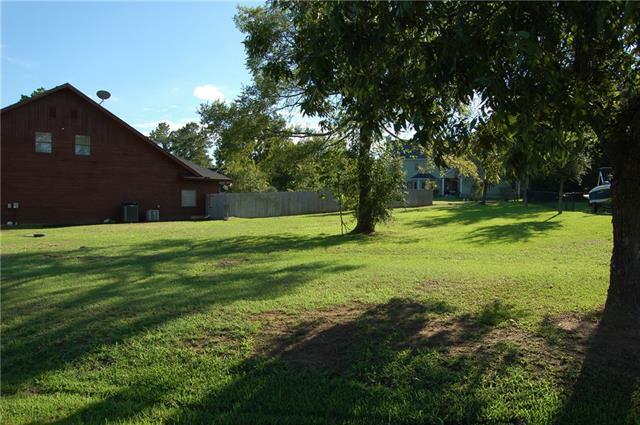 Large rooms, storage everywhere, big double lot, in-ground pool, boat launch directly across the street, lake views, pasture behind, mature trees, and tons of updates. The first floor is entirely free of carpet, with hardwoods and tile floors. 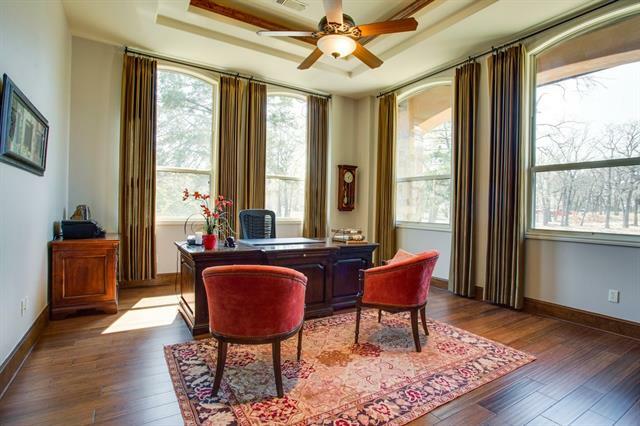 The oversized master is on the first floor and features an attached study or craft room. Upstairs is a game room already equipped with a pool table, three additional bedrooms and two bathrooms. Lots of thought and care has gone into t"
"This is a beautiful 5 bed, 5 full, 1 half bath has room for everyone! 3 master bedrooms one down and two up with large living room, game room with wet bar and a large loft area for a study or office. New class 4 roof, new metal siding, carpet downstairs and custom built front door. Situated on a large double lot with a private back yard setting." "Large 3 or 4 Bedrooms, 3.5 baths log home with personality, vaulted ceiling with beautiful logs within, log staircase, 1 living room with wood burning stove fireplace, 2 more living areas (1 can be another bedroom, office, media or game room, upstairs with full bath attached), large master bedroom with wood burning fireplace, large bathroom with large walk in closet and double vanities, large 3 car garage, enclosed sitting room, 2 outside decks to overlook the pool (upstairs and downstairs), fen"
"New Construction! This Custom 3 Bedroom 2.5 Bath home featuring an Open Floor Plan with a Study or 4th Bedroom; Located close to the East gate for easy in and out access. This home will feature Nail Down Red Oak Hardwood floors, Custom Cabinets, Granite & Quartz Counter tops, Brushed Nickel Plumbing & Electrical fixtures, a Fireplace, 3 car garage & a Covered Front & Back patio with Large Cedar Post. The Kitchen opens into the Great Room featuring a Stained Island, Vent-a-Hood, Beam & Entertainm"
"New Construction Move in Ready on almost a half acre! This Custom Home features a Brick & Stone Exterior, 3 Beds & 2.5 Baths with a Study or 4th Bedroom. Lightly Scraped Nail Down Hardwood floors are in all main areas. Custom Maple Stained Cabinets in Kitchen. Included are Granite & Marble Counter tops, Oil Rubbed Bronze Plumbing & Electrical fixtures, a Gas Log Fireplace, a 3 car garage & a Covered Front & Back patio. The Kitchen opens into the Great Room featuring a Large Island & Wooden Beams"
"New Construction Ready for Move in on almost a half acre! 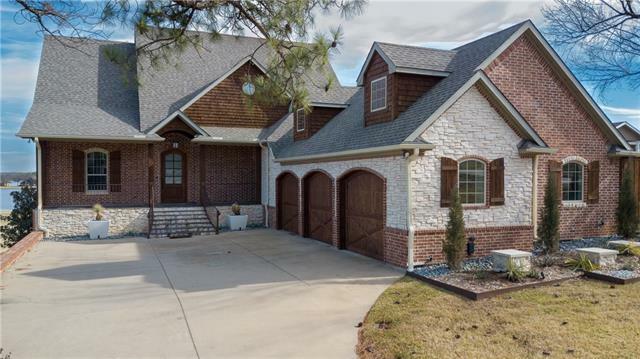 This Custom 3 Bedroom 4 Bath home features an a Brick and Stone exterior with an Open Floor Plan, a Study and Media Room or Man Cave. Nail Down Hand Scraped Hardwood floors in all Main Areas, Custom Cabinets throughout both Stained and Painted, Granite & Quartz Counter tops, Brushed Nickel Plumbing & Electrical fixtures, a direct vent Gas Log Fireplace, 3 car garage & a Covered Front & Large Back patio with Cedar Post. The Kitchen opens i"
"2,959sqft home sits on a double golf course lot, w. a huge backyard, located just seconds from the Lake Kiowa Lodge, West Beach, and Clubhouse. The open floor plan features 2 living areas, an updated kitchen wgranite counter tops, new appliances, beautiful wood burning fireplace, large dining area, vaulted ceilings, wet bar, stained trim throughout, large sunroom or extra living area, 3 updated bathrooms, & 3 bedrooms. BUT THAT'S NOT ALL! This property also features a detached golf cart garage, "
"Gorgeous custom home on treed golf course lot overlooking the #7 fairway. 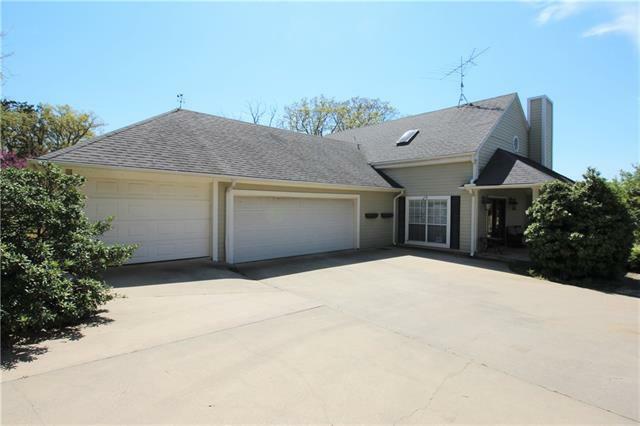 Spacious and open floor plan with 10 foot ceilings & crown molding throughout. Hardwood floors in living, kitchen & master, plantation shutters, stone fireplace with gas logs, 5 burner gas cooktop, upgraded appliances, recessed lighting, gas heat with zoned thermostats, pull out drawers & spice racks in kitchen & oversized garage. Exterior amenities include covered patio with recessed lighting & ceiling fans, extra parki"
"This 4 bed, 2 full, 2 half bath custom home has a spectacular golf course view, & puts the lodge, pro shop & west beach within walking distance. Open gable cedar porch enhances the enjoyment of the 11th fairway & all your outdoor activities. As you step inside the large open concept living space, you will be greeted by a grand 16' vaulted ceiling.Custom knotty alder kitchen cabinets & wood look tile will welcome you to the entertainment space. As you move to the master suite the 11' ceiling and "
"great weekend cottage, or perfect for a handy man to remodel! Or scrape and build your lake house of your dreams! Lots of trees! Great view! Large concrete for lots of parking"